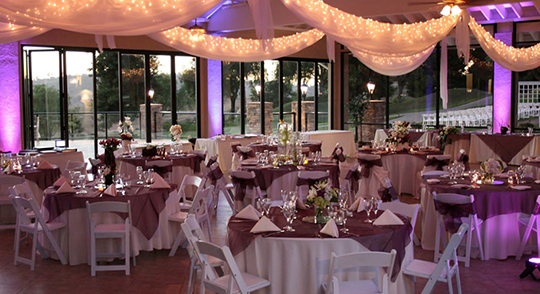 Steele Canyon offers a wide variety of options for your event that we will happily customize with you for any event of varied size and style. We offer the location, features and flexibility to make your event a memorable one. Our San Diego wedding ceremony and reception sites packages cover all of the essentials with a special section for upgrades and additional decorating or services to make your planning stress free. We also have a vast array of top quality professional referrals that are available to provide additional services that you may require. Our bar packages offer selection, reasonable pricing and lots of options to customize your reception bar offering to your desires. You can have your own private bar in the Pavilion or on the Sunset Deck without an additional setup fee. We offer a wide variety of spirits including beers on draft, signature cocktails and specialty drinks made to order.